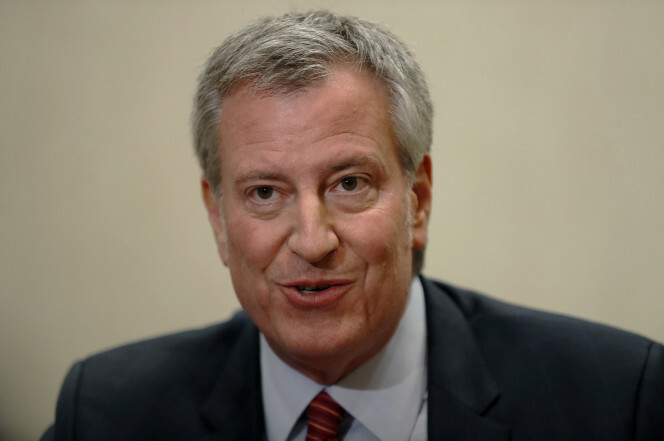 There’s one sure way for Mayor de Blasio to get better press coverage — own the press. The mayor said he’s open to the idea of the city investing in a media outlet that would cover the city. “I think it’s a really good question and one that intrigues me and one that I’d be open in seeing the city invest in,” de Blasio said last week during a closed-door Q&A with reporters laid off by local news sites DNAinfo and Gothamist. The mayor’s comments, which were posted on Medium.com Tuesday, raised red flags. “The idea of the city directly funding local news would always raise questions about the independence of a news operation,” said Brooklyn College journalism Professor Paul Moses. De Blasio cited WNYC — owned by the city from its inception in 1922 until Mayor Rudy Giuliani sold it in 1994 — as an example of a city-funded outlet that worked. “Sure, the mayor named the head of WNYC, but that was a no-fly-zone in terms of political influence. You had to choose someone very much above the fray, using almost the same sensibilities we would think about naming judges, for example,” de Blasio said. But history suggests otherwise. “After private media outlets — newspapers, TV, radio — rejected my proposal and refused to publish the names of convicted johns, I ordered WNYC, then a city-owned radio station, to read the names,” Ed Koch wrote in a 2008 op-ed about his actions as mayor in 1979. Guardian Angel Curtis Sliwa had a show on WNYC for one year in 1994 “after I was forced upon them by Rudy Giuliani,” he told The New York Times in 2006.